Home » Why were Muslims killed in the city of the Church of Christ? New Zealand, known in the world for its magnificent fleece, formidable Maori natives, earthquakes, immaculate ecology, the emancipation of women, a quiet and secure life far from global problems and cataclysms, is in the spotlight of monstrous violence and terror. Why? As confirmed by Prime Minister Jasinda Ardern, who returned some time ago from maternity leave after giving birth, 40 people were killed in two mosques in Christchurch, over 20 were injured. A few hours after the statement by the prime minister, there were reports that the death toll was close to 50. “It is absolutely clear that this can only be described as a terrorist attack,” said Ardern. "This is one of the darkest days in the history of New Zealand," the prime minister admitted. She assured people that the country adopted measures of increased security, and suggested that New Zealand was the victim of the terrorist attack because of its "values" and "multiculturalism." The prime minister herself is known for advocating an increase in the number of refugees receiving by the country. Earlier it was reported that in connection with the terrorist attack four people were detained, one of whom was an Australian. There is a woman among them. The police does not exclude that other suspects may appear. All arriving and departing flights were canceled at Christchurch Airport. Authorities called on residents to stay at home and not to go out, mosques are temporarily closed throughout the country. Brenton Tarrant, a native of the city of Grafton in the Australian state of New South Wales, published a manifesto the day before the shooting, in which he called his actions a terrorist attack. The shooting of believers in the mosque, this "Christian" terrorist filmed on camera, everything was furnished as a symbolic act, a kind of computer game. The “cleansing” of the Wahhabi mosque took place in the city of Christchurch. Automatic weapons, from which military marches (Serbian, British, etc.) chanting in the car on the way to the crime scene killed Tarrant coolly killed people, were inscribed with the dates of victories of the Christian armies over Muslims and the names of the commanders-winners. The fact that the criminal gave himself to arrest alive says that he intends to use this massacre in the future to promote anti-Islamic views. Judging by the psychological type, this is a Gerostrat-type narcissus such as an ultranationalist and anti-Islamist Anders Breivik, who in 2011 made a more massive and bloody terrorist attack in Oslo. The difference between them, in addition to the level of "professionalism", is that the latter killed young migrants, of whom they hoped to make future Norwegian politicians, and the first challenged Islam as it is. At about the same time, Tarrant’s accomplice or accomplices carried out a “sweep” of another mosque. The gunners' cars were mined, but makeshift explosive devices did not work. Judging by the fact that these are definitely “lovers”, they will all be quickly caught. According to some information, Tarrant was a member of the Australian neo-Nazi organization, which sent volunteers to participate in the punitive operation of Kiev in the Donbas. The tragic events in Christchurch were not only a shock to New Zealand. In Europe, express solidarity with the families of the victims. In Muslim countries, they burn with anger. Let's now try to understand the essence of what did happen and why. To begin with, Christchurch is not only a recognizable Christian name, but also a place where, for some time now, the Muslim community has firmly established itself, some of which hold very radical views. There were also volunteers from ISIS. Many migrants appeared in Christchurch after 2011, when it was badly damaged by an earthquake. They worked at construction sites, restored the city, and then remained in it, often - illegally. Some even lived in ruins. As a result, a year later, there was a criminogenic zone. Tourists are not recommended to walk the streets at night due to the abundance of migrants - in other New Zealand cities there is no such thing. Therefore, apparently, the terrorists wanted to show that migrants from Muslim countries in New Zealand will not be able to impose their way of life, customs and manners as they did in many areas of “politically correct” Europe, which turned into Muslim ghettos, from which they their Islamists make raids, including shooting parishioners and killing priests right in the church. As it was, for example, in France. The Europeans, who, especially the Germans, were strongly inspired by the guilt complex for the crimes of the past, almost came to terms with this. But for Australians and New Zealanders, the periphery of the Western world, where the old norms and values ​​are largely preserved, this is not the case. They have only recently begun to create this complex. What now living Australians and New Zealanders have, they say, is responsible for the oppression of the Australians and Maori - the indigenous people of these places, in the past were really nearly exterminated by whites, who showed great cruelty to each other in accordance with the mores of that time. But now the descendants of the indigenous people live happily ever after, happily playing the role of "victims" and demanding all sorts of privileges. They receive them. But whites are being forced to complete a revision of the story, in which they play the role of villains, although all that has been created in these now so attractive countries are the fruits of their labors - sweat and blood. But Maori, for example, were then cannibals, and even today they constitute a disproportionately large percentage of the inhabitants of New Zealand prisons. And then came the Muslims, fundamentally unwilling to integrate, gazing with contempt at the local culture and traditions, and the radical part of them consider the countries that adopted them as the territory that they need to conquer for Islam. At the same time, the ruling liberals and leftists do not want to see this. Because it does not fit into their ideology. On the other hand, moral terror and labeling are practiced against white traditionalists and modernists. Under these conditions, ordinary New Zealanders and Australians, outraged by the fact that they have to adapt to the newcomers, that the authorities are stubbornly bending their line, despite the collapse of "political correctness" in Europe, have a desire to begin to solve the problem themselves. This is where the Tarvant Braves come from. If conscientious and decent Western people, seeing what was happening, did not bury their heads in the sand in fear that they would be labeled as “racists”, “Nazis” and “Islamophobes”, the appearance of such savvy would be simply impossible. The less obvious culprits of what is happening are numerous representatives of the democratic public. They may, out of better motive or fear of facing the truth, bring the matter to the point that one evil gives rise to another, and this will require as a result of such a “treatment” that is worse than the disease. Today, all honest and decent people should first think about this, rather than shouting that we will respond to fanatic terrorists with even greater “multiculturalism”, even greater migration, that “we will not allow ourselves to be intimidated” and that “values” those who have made possible the Christchurch massacre will be raised even higher, in the name of universal "tolerance." Because this is exactly what will lead to a catastrophe. 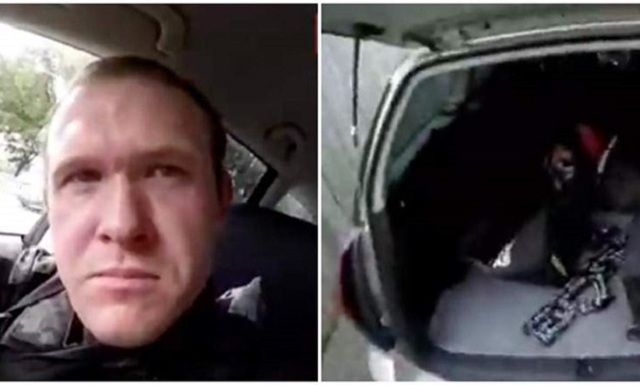 The most immediate result of the Christchurch massacre will be a strike on the “right radicals”, mainly those who are being extradited for them and what they stand for. And not only in New Zealand.